We’re often asked, “What makes a good commercial real estate company.” Along with questions on how a business owner can narrow down and marry the company that they will partner with, invest in and depend on for growth and success. 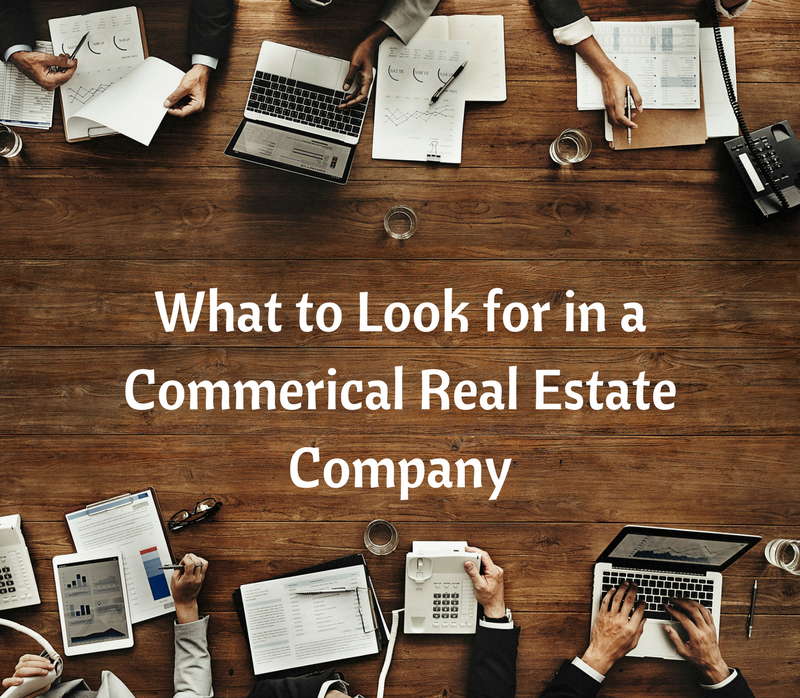 Well, this can be a complicated question, but we’ll keep it simple and have narrowed down a list of 4 top traits to look for when searching for your Northwest Florida commercial real estate company. This word encompasses a lot; family, friends, business, community… all are different types of relationships. You, being a savvy business person, know more than anyone that relationships are important, but they don’t just happen overnight. When looking for the ideal commercial real estate company, make sure they have and value their relationships. Behind a successful business or project is a successful team, and a commercial real estate company with these qualities not only has the team to support your business needs, but it also tells you of their longevity and trust within the community you desire to do business. Relationships are vital and it takes perseverance to build those relationships. Perseverance is not only needed in relationships but in work. Which is what puts the best commercial real estate companies above the rest. Day in and day out, the company with the most perseverance fights for the best deals, hunts for the best locations, looks out for the best interest of their clients, and consistently pursues the dreams their clients have along with them. Perseverance is a trait that cannot be overlooked. Good business people can problem solve, but not every commercial real estate comes up with the best solution. Often times, there are many answers to your questions and problems, but it’s the company that can find you the best solution for your needs, wants, and desires, that should win your business. A great commercial real estate company considers creative site; planning, zoning issues, time constraints and budget concerns when searching for the ideal solution to your problems. Don’t choose the company that gets you the quickest answer, as that might not be the BEST answer, and could lead you astray in the future. Go with the company that gets to know you and your needs, one who uses that information as the driving force for their search. At the heart of every business or every project is a vision. Aligning yourself with a commercial real estate company that thinks outside of the box and thinks bigger than themselves will put you on the path to efficient and effective success. They can see your big picture and creatively achieve the results and think ahead to plan for the demands that might exist in your future. While there are many great qualities that a commercial real estate company can possess, these 4 indispensable qualities are vital to finding success and happiness throughout the process of finding your new Northwest Florida commercial real estate location. At NBI Properties, Inc. we pride ourselves in upholding these qualities and holding our team to the highest standards. We represent multinational corporations, major space users, governmental agencies and contractors, major defense contractors, developers, owners, institutions, lenders, and investors, and we can represent you! Contact Us today to see how we can help you with your commercial real estate needs.